The Respect Group has created critical abuse prevention education with the Respect in Sport Activity Leader Program. This easy to use online training enables sport and community organizations to create a safer, more ethical environment by providing essential information to each organization’s critical stakeholders. The tradition of excellence at HOC is built upon the strength of our staff. Each staff member is committed to being a positive role model and asked each day to create a safe and fun camp environment for children to enjoy and excel. For this reason, we made the Respect in Sport / Activity Leader Certification Program (RIS) (by Respect Group Inc.) mandatory for all of our staff to complete before arriving to work this summer. The Respect in Sport / Activity Leader Certification Program offers HOC and its staff a proactive approach to risk management by clearly identifying signs of bullying, harassment, abuse, neglect and hazing. It emphasizes the legal obligation to report incidents, signs of maltreatment or any behaviors that violate the Child and Family Services Act. Staff learn the importance of using both their emotions and position of power as a leader in a positive way. 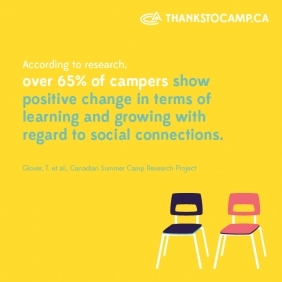 Most importantly, the RIS program helps contribute to the holistic culture of respect within our camp community, something we work hard to create each season. This course is a compliment to the extensive pre-camp staff training that we do each year, including Code of Conduct and Staff Proofing training. Hockey Opportunity Camp is proud to be the first OCA (Ontario Camps Association) Accredited camp to adopt the Respect Group Inc. training. The Respect Group Inc. programs are certified by the Canadian Red Cross, Respect Ed Division.